I use both VMware Fusion and Virtualbox. 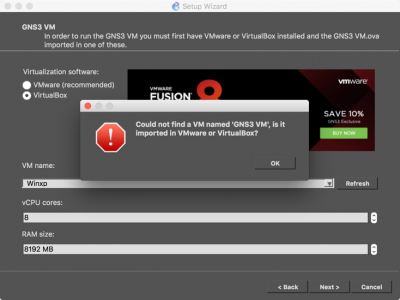 But Virtualbox looks after all the VM’s I use in GNS3. Either way I did not know what I was looking for, and the download (and application folder) did not have a VM within it for me to import? 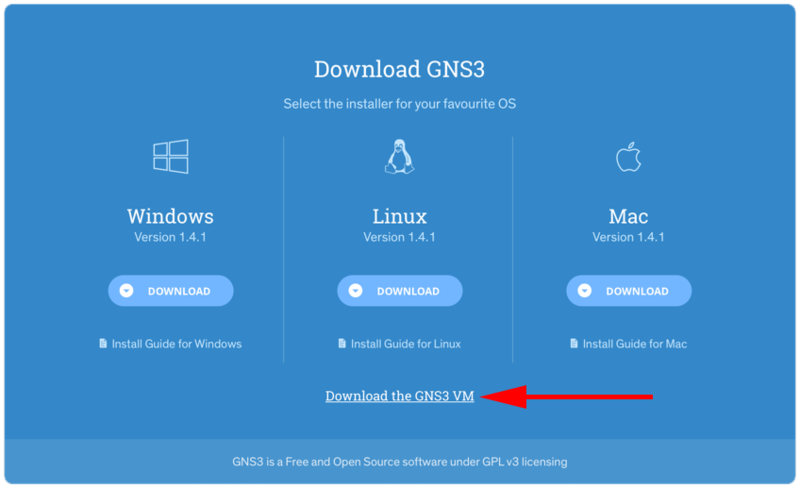 It turns out the link for the VM is on the GNS3version download page, (it redirects you to another site). 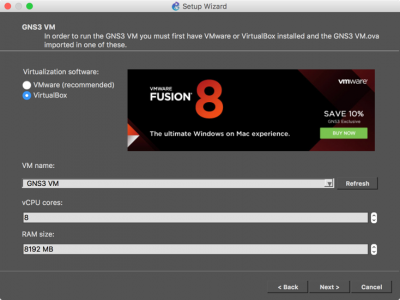 Once you have it downloaded, you can import it into either Virtualbox, VMware Fusion or VMware Workstation. 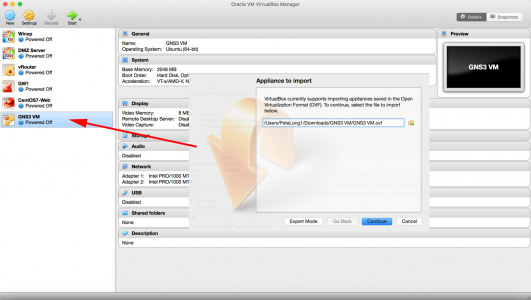 Then you can select it, and progress. Thanks Pete, just the push in the right direction I needed! It doesnt work for me. 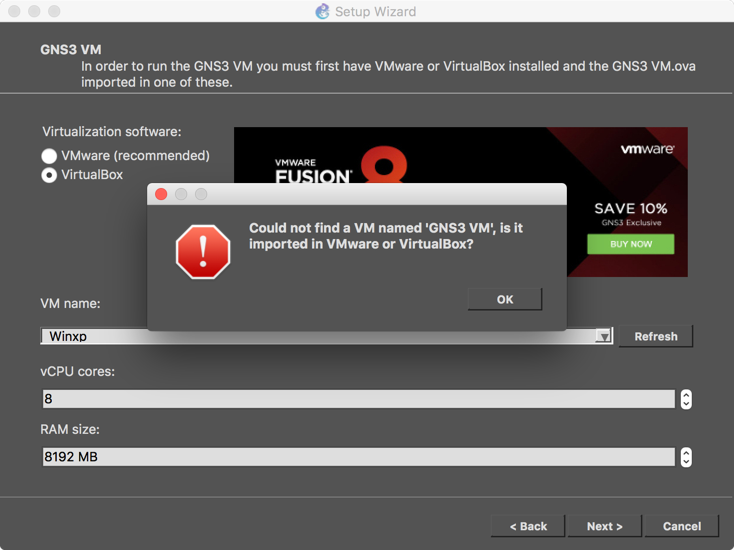 I installed VMware Fusion 11, imported GNS3VM and still struggling with the same error. 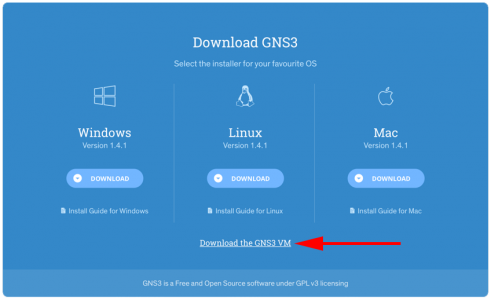 It seems the GNS3 server is unable to connect to GNS3VM. Any idea where can I see at which path it is looking and where it should point to actually?